FAQ: I can’t find ProQuest Flow...where is it? 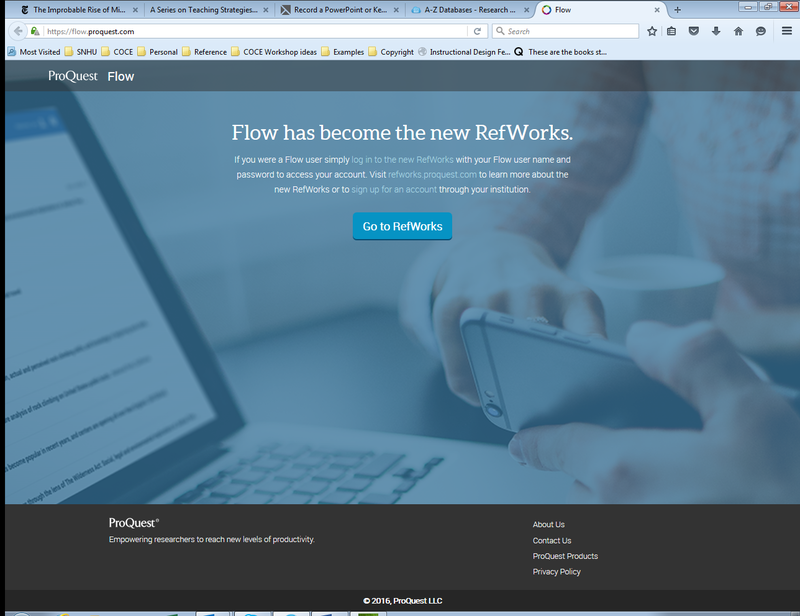 ProQuest Flow has become RefWorks! 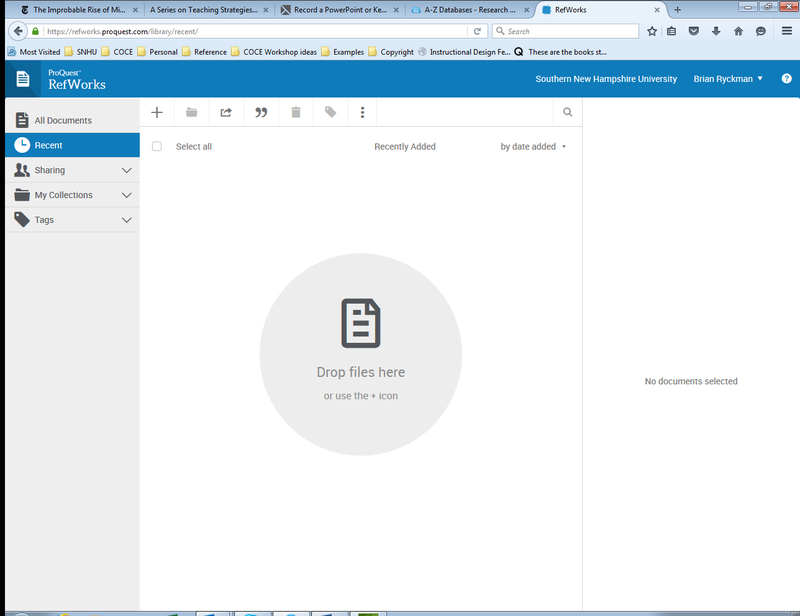 ProQuest Flow users will have saved citations automatically migrated to the new RefWorks platform. Begin with the ProQuest Flow login page: https://flow.proquest.com/. You will be prompted to use your existing ProQuest Flow login for the new RefWorks interface. Your saved references should appear in the new RefWorks interface. Continue to export information from the databases into the new RefWorks software and enjoy more user-friendly and robust features. What is RefWorks and how can I use it?